U.S. whistleblower Edward Snowden says he is relieved one of the families who helped hide him when he was on the run in Hong Kong in 2013 has been granted refugee status in Canada. In 2013, refugees in Hong Kong sheltered NSA document-leaker as he fled U.S.
U.S. whistleblower Edward Snowden said he is relieved one of the families who helped hide him when he was on the run in Hong Kong in 2013 has been granted refugee status in Canada. "They knew what it was like to be hunted, to be chased, to be retaliated against," he said in an interview with Radio-Canada. "And they smiled at me. You know, they opened their home. I mean, this was very small. They were living in very difficult conditions, incredible poverty, and they shared everything they had." Ottawa has granted refugee status to Vanessa Rodel, 42, and her seven-year-old daughter, Keana, said a spokesperson for the group that privately sponsored the family. They are among a group of seven asylum seekers who housed Snowden after he fled the United States in 2013. The family landed this evening at Toronto's Pearson Airport. "I feel like I'm free," Rodel told reporters. "I can sleep well." "I'm so happy that we finally went to Canada," Keana said. "I was waiting for days and days." Vanessa Rodel talks about what it's like to be in Canada. Rodel and her daughter's final destination will be Montreal, where they are expected to arrive on Tuesday, to begin their new life. Rodel had been living in Hong Kong since 2002 after fleeing her home in the Philippines. She applied for asylum there in 2010, but her claim was rejected. In 2013, a Montreal-based lawyer working with Snowden came up with a plan to hide him in the homes of refugees and asylum seekers in Hong Kong, including Rodel's. Snowden was wanted by U.S. authorities for leaking highly classified government documents about government surveillance programs. He had been a contract worker for the National Security Agency until he fled the country, ultimately escaping to Russia, where he still lives. 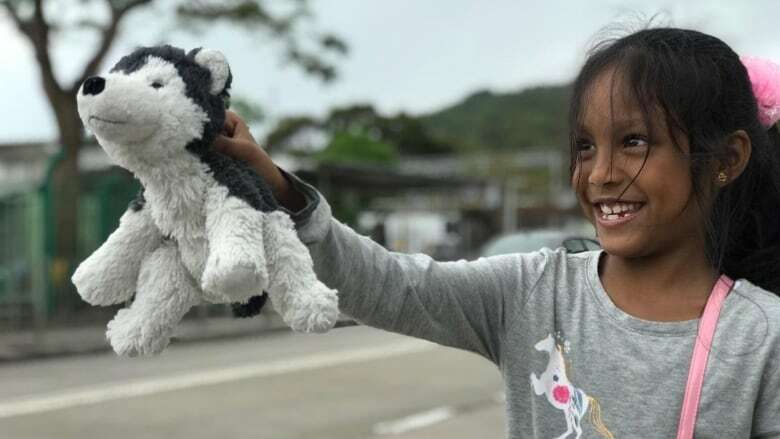 A non-profit organization called For the Refugees submitted applications to privately sponsor all seven of the refugees living in Hong Kong in 2016, said a spokesperson for the group, Ethan Cox. "Vanessa and her daughter have been accepted as privately sponsored refugees," he said. "Right now, the long nightmare is over for Vanessa and Keana." Cox said the other applicants are still waiting to see if their applications will be accepted as well. 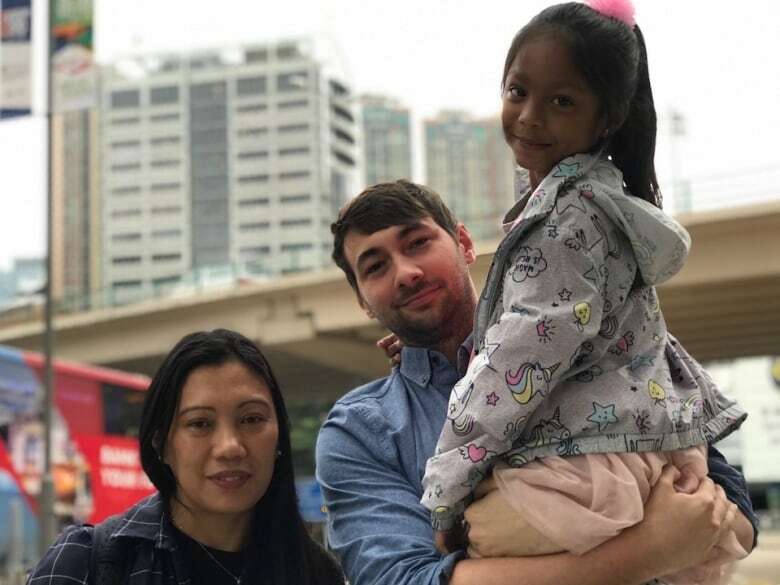 After housing Snowden, Rodel feared Hong Kong authorities would step up their efforts to deport her to the Philippines, where she said she fears for her life. Cox, who is familiar with Rodel's case, said in the Philippines she was kidnapped, raped and sexually trafficked by an extremist group before she fled to Hong Kong. CBC News has not verified the details of Rodel's initial asylum claim. Rodel told Radio-Canada that Hong Kong authorities have questioned her about Snowden, but when she refused to co-operate, her social assistance was cut off. The group For the Refugees has been collecting donations to support the families, and its members hope all of them will be able to settle in Canada as privately sponsored refugees. "They are extremely brave people who have nothing, but when someone in distress needed them, they opened their doors," said Montreal-based Guillaume Cliche-Rivard, one of the lawyers with the group. "Instead of letting them live in a terrible situation without a future, we wanted to do something for them, as they wanted to do something for Edward Snowden." Rodel's was the first claim to be accepted and though it has given hope to the others, Cliche-Rivard said there is an urgency to their cases, and he hopes the government acts quickly. "The clients are facing tremendous distress [in Hong Kong]," he said. "Removals for the other five are pending, so Canada cannot take another year or two to decide their cases." In a tweet after Rodel's flight took off, Snowden urged Canada to help the remaining families. "After so many years, the first of the families who helped me is free and has a future. But the work is not over — with solidarity and compassion, Canada can save them all," he wrote.